The acronym CBD is being used a lot lately but not everyone really understands what it means or what it is. CBD stands for Cannabidiol which is derived from the Cannabis plant. In this article I will explain what CBDs are and what this means for you and your dog. The Cannabis (Marijuana) plant has different components; first there is the THC (Tetrahydrocannabinol) which is the element of the marijuana plant that is psychoactive and therefore gets you high. CBD is the second element of the Marijuana plant and has many potential benefits without any psychoactive component so you don’t get high. When the CBD component of the marijuana plant is exceptionally high with little or no THC the plant is generally known as Hemp. Scientists have been studying CBD for decades in relation to relief of inflammation, pain relief, to reduce seizures, reduce symptoms of psychosis, reduce muscle spasms, and reduce anxiety. CBD is also being studied for applications in treating cancer in the pain relief side and for the possibility that Marijuana or CBD may have Cancer fighting properties. All of this is now being used for dogs and cats. 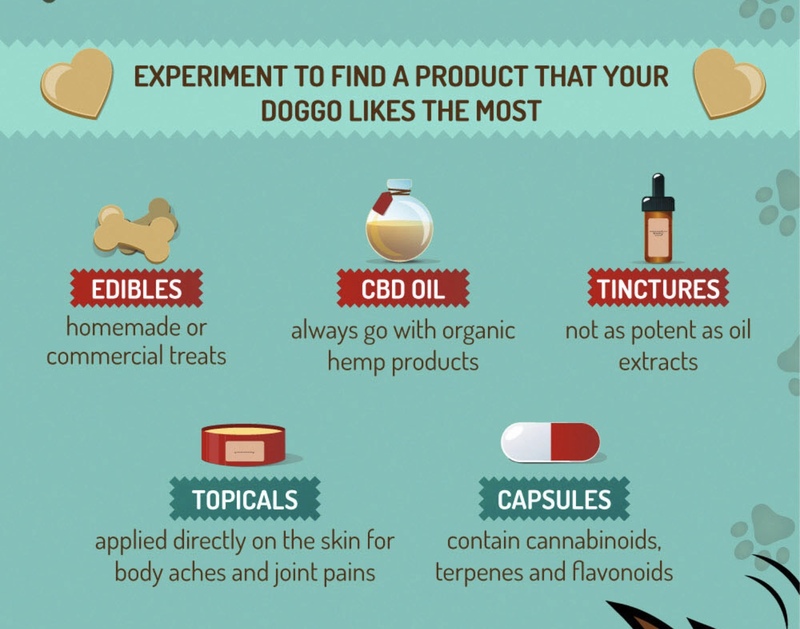 The extent to which CBD can help your pet is still fairly unchartered territory but the preliminary results are astounding. 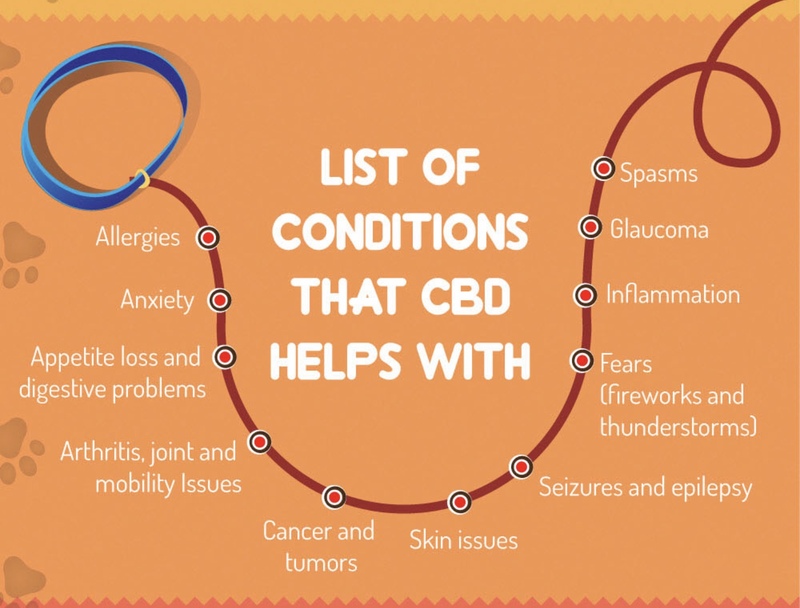 CBD has been found to help with arthritis, compromised immune systems, stress responses, aggression and digestive issues, separation anxiety, seizures from epilepsy, arthritis, inflammation, pain, mobility issues, cancer, end of life discomfort. There are also studies under way into CBD’s preventative possibilities in relation to cancer, obesity, diabetes among many other diseases. 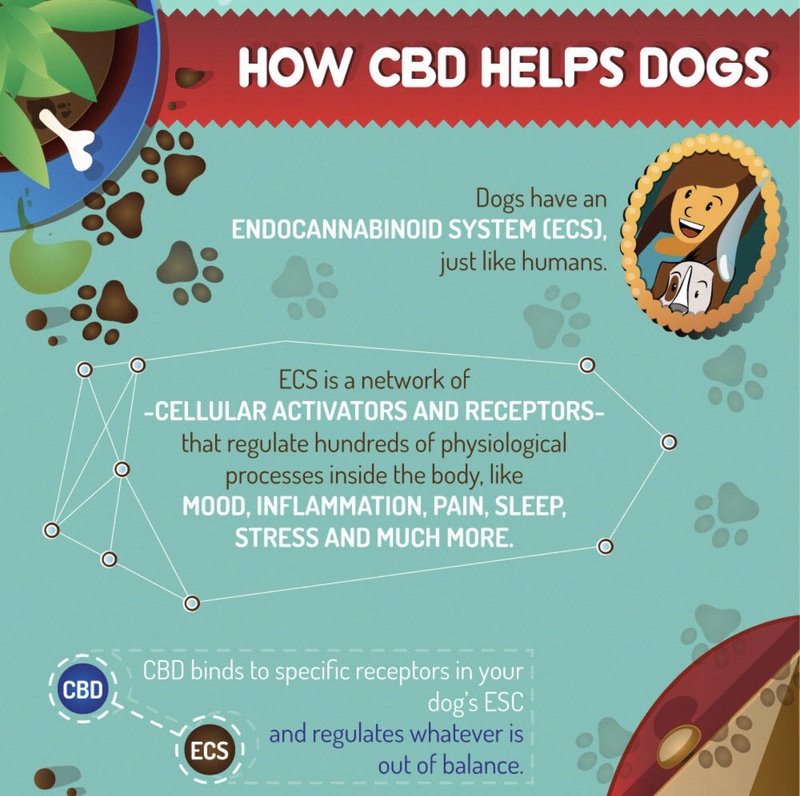 Dogs are especially responsive to cannabinoids as they have the highest concentration of cannabinoid receptors in their brain and bodies compared to other animals, even humans! 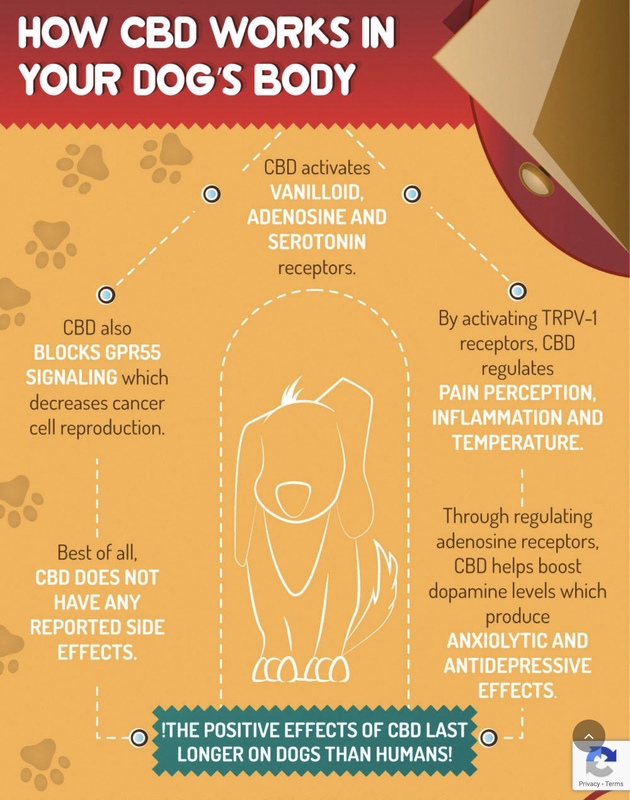 CBD products are effective in bringing balance to pets suffering from a variety of ailments. 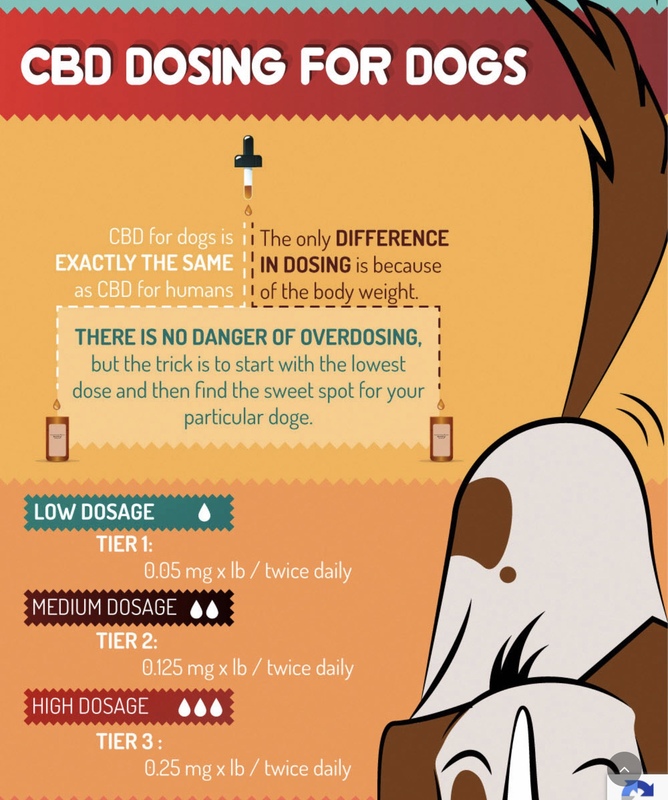 The advice from veterinarians is to start with a very low dose of CBD and increase it for your dog or cat’s individual needs. Be sure to observe your dog’s response. The key is to find a dose where you don’t see side effects but you do see results. With continued use, you may need to increase the dose a little over time to achieve the therapeutic results. There’s a fairly new American based company that is catching the attention of pet owners across the globe. 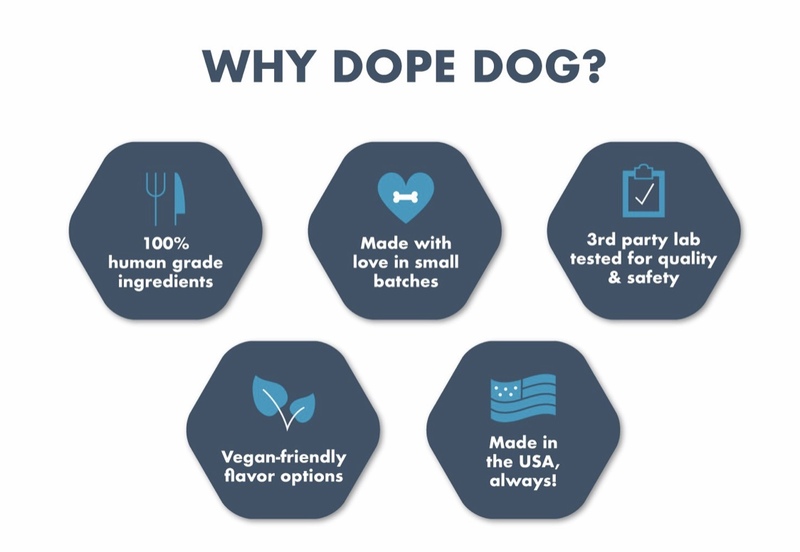 Michael and Erin began Dope Dog because of a lack of holistic, vegan, human grade CBD products on the market. They knew they needed to bring a quality wellness product line for dogs to life. After extensive research, they created a cannabinoid-rich hemp product line that dogs love. These products give you peace of mind knowing that they are small batch, human grade, and third-party tested to ensure quality and safety.